If you thought that the secret to weight loss was finding the right diet, think again. It turns out that there is no single best weight loss diet that will allow you to shed those unwanted pounds. Instead, you need to focus on making smart choices for your waistline and your overall health. Trying to Figure Out the Best Weight Loss Diet? Don’t Sweat It! According to the Duluth News Tribune, the diet that you choose isn’t going to play such a major role in whether or not you are able to hit your target weight. 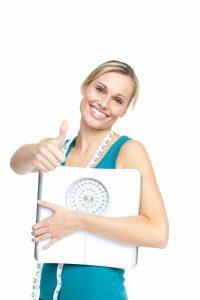 Rather, according to experts who compared the results of popular eating plans, such as South Beach Diet, Weight Watchers, and Atkins Diet, there aren’t major differences in results after a year. Researchers concluded that the diet that you choose, whether it is low-fat, low-carb, or anything in between, doesn’t matter as much as selecting a diet that you can follow for a long period of time. Whatever eating plan is the easiest one for you to follow is likely the best one for you because it will allow you to achieve the consistency necessary to shed weight and boost wellness. Again, there is no single best weight loss diet for everyone, so it’s a matter of choosing what is right for you and your body. Planning ahead is a great way to achieve the necessary consistency in your eating plan if you want to lose weight. Every week, sit down for a few minutes to figure out what meals you will eat. You might even choose to prepare some of your meals in advance so that you can save time after work, and so you won’t be tempted to take the easy way out with unhealthy options. Also, another way to stay consistent in your weight loss approach is by stocking your kitchen only with healthy options. Unhealthy foods that are out of sight can also be out of mind. The bottom line is this: no matter what diet plan you decide to follow, sticking with it for a long period of time is what will allow you to get results. There is no magic bullet to find, nor any single best weight loss diet.